Top Five Takeaways from PREX 2018, The ediscovery conference for in-house legal teams. 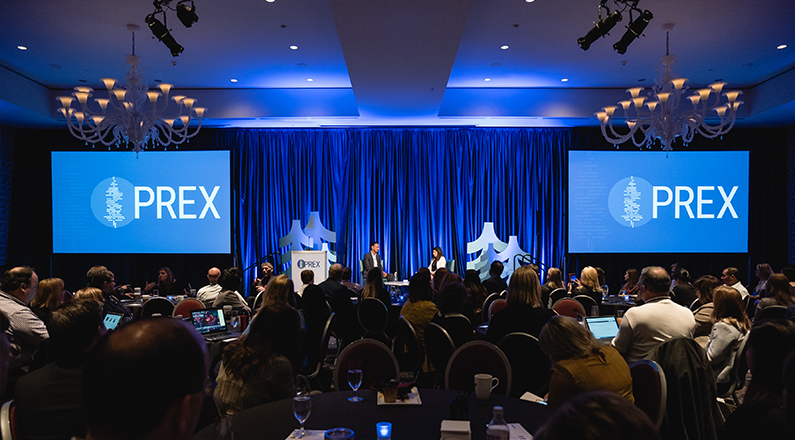 Last week we held our seventh annual PREX conference, an inspiring three days that brings together the best and brightest in-house legal minds to collectively cultivate better ediscovery practices and outcomes. Conferences in the ediscovery sector serve as valuable barometers of the trends driving our community. This year was revealing. The main drivers in our space — case law, compliance requirements, and technology — are at odds with each other on the surface. The law moves slowly and cautiously while technology speeds ahead, continually widening the range of what is possible. As new technology has enabled the move to handle more ediscovery in-house, the community is now knee deep in figuring out how ediscovery can best function over the next decade, and how those plans fit within the larger construction of the modern corporate legal department. The discussions at PREX reflected that the larger conversation has moved past whether ediscovery technology should be incorporated into department processes, and turned instead to solving the particular challenges involved with in-house management. It’s heartening to see the committed, solutions-focused attitude of everyone who attended. For those that weren’t able to join us this year, here are my top five takeaways. Processes for in-house ediscovery don’t function in a vacuum. Sometimes the nature of technology adoption means integrating software into an established ecosystem, but instead of just shoehorning in a new tool, the legal department members at PREX spent a lot of time considering how ediscovery fit into the bigger picture. Attendees showed a lot of engagement when grappling with what new roles and responsibilities were needed for corporate legal, from the introduction of Data Protection Officers to IT professionals embedded in the department, to the need for project managers to handle end-to-end accounting for ediscovery matters. 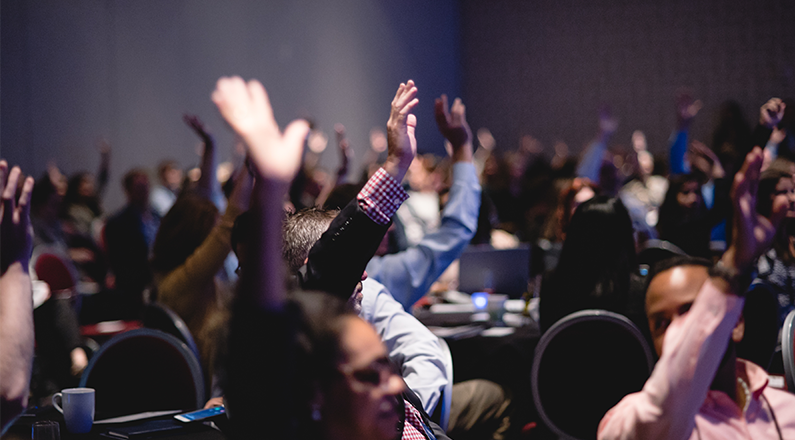 Our Next Gen EDRM session had attendees consider the ediscovery requirements for information governance strategies, and how matter resolution considerations need to be built into the model. Building upon the first few months of GDPR takeaways, and the upcoming EU ePrivacy Directive, session participants were locked in on devising a system that is agile and adaptable, able to intelligently incorporate the roles and requirements that shape not just today, but the years ahead. While PREX attendees were excited to discuss the system and future they want to build, many are facing resource issues complicating the ability execute their vision. For those still laboring with legacy on-premise and manual ediscovery systems, getting internal approval for budgets to invest in the technology and staffing to manage ediscovery in-house is proving a challenge. Despite the evidence showing dramatic cost reductions in discovery when using modern, cloud-based tools, getting sign off to make the shift is proving a challenge. The people I talked to noted that education on the subject is sorely needed. For those currently using cloud-based technology, their focus was on optimization. The cost and efficiency benefits of handling portions of ediscovery in-house were already clear to this group, but they wanted to make sure they were as up to date and efficient as possible, looking to expand beyond legal hold and more basic ‘left side’ functions into right side applications. It was a good reminder that everyone is at a different stage of the modernization process, with unique considerations for their organization, but that all involved are looking to make wholesale improvements. In my opinion, security concerns have been the most significant driver of ediscovery technology adoption in recent years. Data breaches and the exposure of confidential material is the modern boogeyman for corporations — with good reason. No one is laboring under the belief that the trend of cyber threats to company information is going away anytime soon, and the need to protect data for security and privacy concerns is driving organizations to think differently about what data is retained, where it is stored, and how it is managed, including when legal obligations require suspending routine disposition. The consensus expectation is that these issues will grow in complexity, and thus everyone should be motivated to get in front of the problem, collaborating across department boundaries to improve company-wide practices and measures necessary before it’s too late to enact effective safeguards. It’s an old refrain at this point, but the amount and complexity of data being generated is truly becoming overwhelming. It’s not difficult to see that automation isn’t just a ‘nice to have’ option for managing ediscovery, but an absolute necessity. Using modern technology to identify, collect, preserve, and cull data is the only way to feasibly tackle exploding data volumes, and expanding that capability into review will be just as critical. While businesses have shifted their mindset from ‘save everything’ to ‘delete when possible,’ the complexity of managing active data to minimize costs and defensibly comply with regulatory requirements remains. As data volumes multiple, so do the formats, and while most litigants remain focused on emails right now, the fragmentation of communication channels (social media, platforms like Slack, ephemeral communications, etc.) will force corporate legal departments to adopt more viable long-term solutions. Technology drives change; and forward-thinking legal teams are looking to technology to address the challenges brought by that change. The general feeling that attorneys on the whole still lack an understanding of ediscovery best practices, relevant technology, and information governance issues, has turned from observation into prioritization. Fortunately, it’s clear that there is a strong desire from the community to understand and contribute to best practices across the board. Attendees demonstrated a willingness to share and learn from one another. The new formats offered at this year’s PREX demonstrated that attitude, with hands-on sessions and participatory workshops constructed to take advantage of the collective experience and brain power at hand. It’s inspiring to see motivated people working together to cultivate better collective results. As a long-time ediscovery veteran, my primary wish is to see the betterment of our industry, and this year’s PREX has provided me a lot of evidence that we’re moving in the right direction. Participants were passionate and informed, anxious to ingest and share knowledge and personal experiences. It was a banner year for PREX, and after the success of hosting our biggest conference yet, I’m even more excited to take the show on the road. Next year, PREX will be held in the fabulous city of Chicago — we hope you’re able to join us! Learn more about PREX 2019 at PREXConference.com.